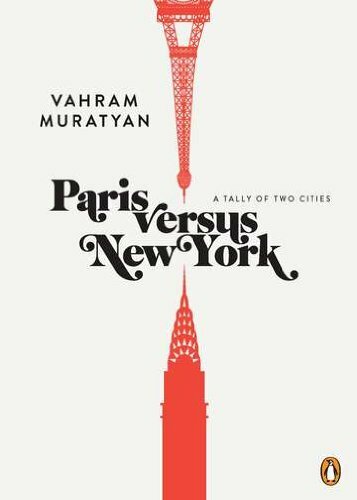 Paris versus New York: A Tally of Two Cities is a book that's born out of the blog of the same title created by Vahram Muratyan. 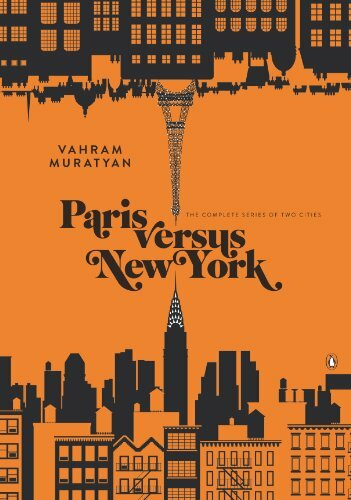 Each page is a visual match pitting Paris against New York. The graphics are drawn in simple vector style. 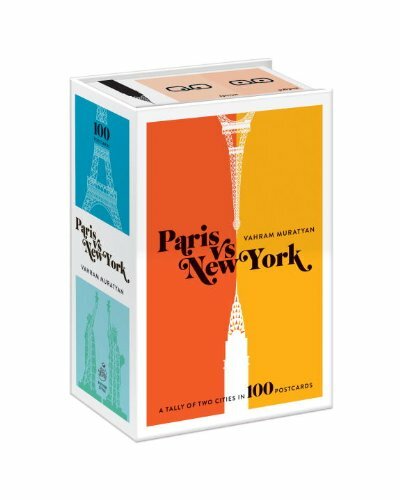 It's fun to look at and if you're from either Paris or New York, you can relate more to it. There's also the 100-postcard version of the book. This deluxe edition is almost A4 size compared to the A5 size of the original edition. It's expanded with 30 more pairings. Expresso is the proper French spelling. Sometimes it's abbreviated to express'. Never seen it without the 'x'. Maybe you were confusing it with English. The left pages are in French, the right in English. That looks great! I'm French and my wife and I lived in NY for a while so I have to get this.